The wall lighting bracket ME-H9 is made by cast iron. This lighting console for home, yard, terrace and balcony is offered with luminaire and complete the garden furniture category. The lighting console is powder coated. The coating is applied electrostatically and is then cured under heat. It is used to create a hard finish that is tougher than conventional paint, which gives the wall lighting bracket a higher resistance over time. Delivery terms: between 1 and 3 weeks from valid order. Outdoor Wall Mounted Lantern ME-H9 with VILLAThe wall lighting bracket ME-H9 is made by cast iron. .. Outdoor Wall Mounted Lantern ME-H9 with GLOBE400The wall lighting bracket ME-H9 is made by cast iro.. Outdoor Wall Mounted Lantern ME530 with GLOBE 400The wall lighting bracket ME530 is made by cast ir.. Outdoor Wall Mounted Lantern ME530 with VILLAThe wall lighting bracket ME530 is made by cast iron. 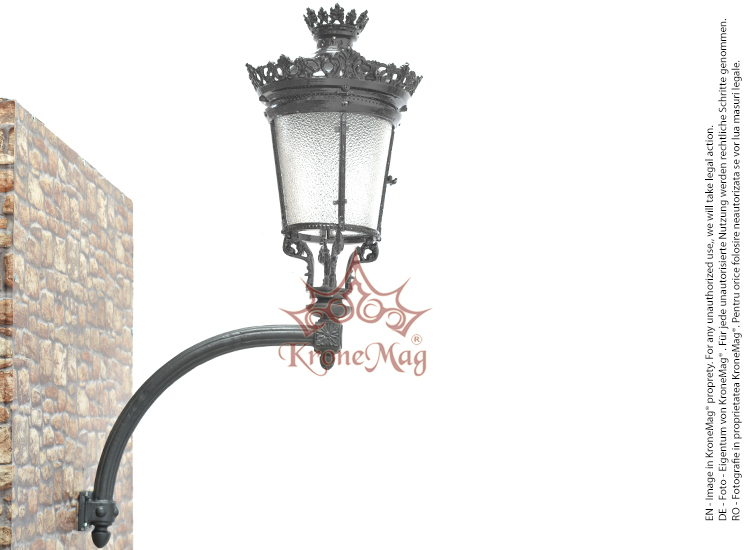 ..
Wall Mounted Lantern ME502.PALASIOThe wall lighting lantern ME502 is made by cast iron. This outdoo..